If you would prefer to be relaxing in your pool rather than standing beside it, you might be interested in an automatic pool cleaner. Take a step back and let the cleaner do the work for you. There are three main types of cleaners, suction side cleaners, pressure side cleaners and the crowd favorite robotic cleaners. Robotic cleaners: Robotic cleaners are self-contained so they do not depend on your filtration system. A robotic cleaner can operate even if your pump is turned off. They run by plugging a power unit into a standard GFCI plug outlet. Robots have filter elements built into them to capture the pools debris. These filters do need to be removed and cleaned. 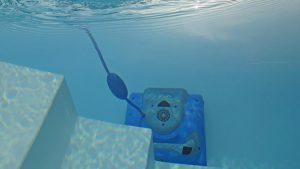 Robotic pool cleaners have become the number one choice by pool owners. Suction side cleaners: A suction cleaner uses the power of the pump to propel it through the water. When these cleaners are working, debris and dirt are picked off the pool floor and shipped thru the suction line to the pump and then to the filter where it is captured. After it has cleaned the pool a backwash could be required. 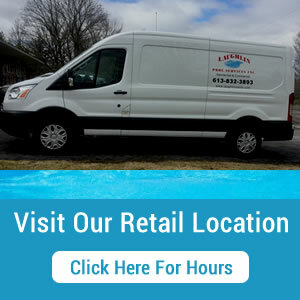 Pressure side cleaner: Pressure cleaners work off of the water being returned to the pool. Most pressure cleaners require a booster pump and a dedicated return line to provide enough flow to operate. Pressure cleaners use a built in filtration bag to capture the dirt, taking pressure off of your filtration system. No need to backwash as often.